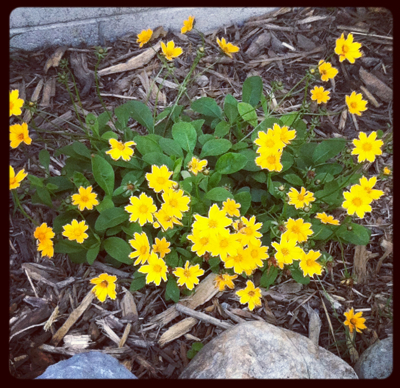 The Coreopsis are one of my favorite flowers. The gorgeous pops of yellow and there are so many blooms. I have these growing all over our property. They spread, so after a while you can dig up some and transplant! Love that! This is my Salvia. 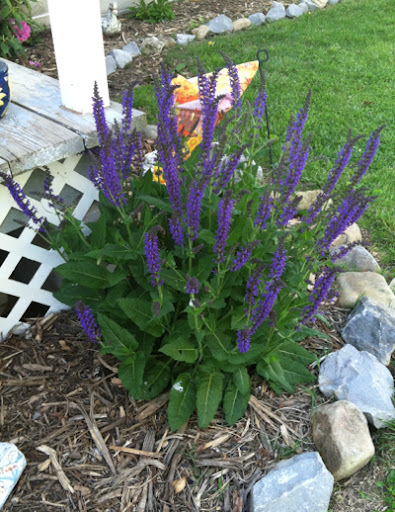 It has beautiful purple stalks of color. It has grown exceptionally well over the last 2 years! I now have 3 of these around the house, but this one is the oldest and most attractive. 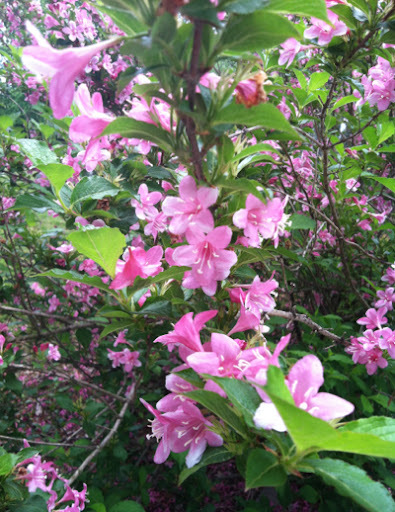 This is a Weigela. This bush has had it's ups and downs over the year. I am trying my best to shape it back up and get it blooming all over again. This is the prettiest it has been in a long time. Still, I'm going to have to really cut her back in the fall to get it uniform and blooming more. It's important to me to grow plenty of flowers on the homestead because my next adventure is to hopefully get bees for the property. I am SOOO excited thinking about having bees. I really hope to have them this year, if at all possible. But, beekeeping isn't exactly cheap to start. So I'm saving up for that. Our newest farm member is Itty Bitty. 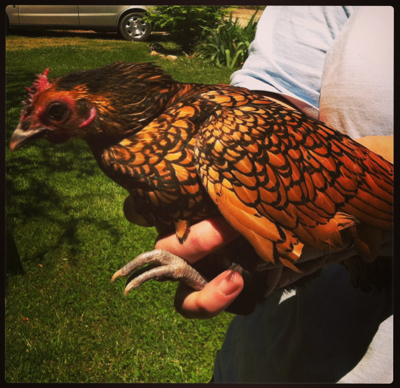 She is a Golden Seabright Bantam hen. She is so small and cute. Bantams are known for being small, but being great setters. She lays a itty bitty white egg. Which is another reason her name is fitting. I hope you have a great day! The weather is going to be absolutely amazing here... so if I don't respond to any comments or questions, I will try to tonight. Today, I'll be in the garden! Pretty flowers, OH! What a beautiful Hen. Hello there, The Simple Life!